We’re just getting started, but we have BIG plans! Click here to read our official welcome and learn more about what we have in store for you. We’re going to jump right into the music, but before we do, let’s do a quick review of what a pompadour and beehive look like. Another great doo-wop combo with Frankie leading with a choirboy falsetto — you just can’t resist “Why Do Fools Fall in Love” or “Little Bitty Pretty One”. Check out “Love Is Strange” … I love the mid-song dialogue in this tune — this song was revived for the timeless movie “Dirty Dancing”. By the way, Maile, you had a great-grandaunt named Sylvia (Great Grandpa Irv’s sister). This guy — pretty much a “one-hit wonder” — is still out there performing. I don’t know how many times he can sing his big one, “Let’s Dance”, but I guess it’s a paycheck! I love his lispy adenoidal delivery. As young clueless lads, your Papa and his friends loved to sing along with Chris — ”Hey, baby, won’t you take a chance and let me get into your under.”… oh, oh here comes Grandma Jill! Game over!!! If you Google this guy you’ll realize he has probably done the best of all of these teen idols from this time — after all, he’s “Mr. Las Vegas!” But it all started with his girly-voiced Bobby Darin wannabe version of “Danke Schoen”. The rest is (cheeseball) history. Roy was a teen idol, but he was way weird!! He had one of the most unique voices in the business — anti-Frankie Valli and the the other Frankies — but his affect with shades was a little off-putting to my young sensibilities. Was he blind, or what? Little did I know, but he was actually just “too cool for school.” You’ve gotta groove on his hits “Oh, Pretty Woman”, “Crying” and “Only the Lonely”. What a voice — truly unique (I think)! His genre (that’s French for “thing”) was Western-tinged themes. Westerns back in the 50’s and 60’s were HUGE on TV and the cinema — ”Gunsmoke” was the longest running TV show at the time (until “The Simpsons”). Other than teen idols, my friends and I all wanted to be cowboys or Untouchables (G-men). So when Gene belted out “Town Without Pity” or “The Man Who Shot Liberty Valance” or “24 Hours from Tulsa”, we all got our gunslinger (see Paladin – Have Gun Will Travel) groove on. These two “brothers” — not really — were the most soulful sounding white guys at the time. If you close your eyes, you hear South Side Chicago — if you look at their photos, it’s Wonder Bread time (Papa ate that before whole wheat came along — Great Grandma Bea denies it but I swear it’s true!) Seriously, “Unchained Melody” and “You’ve Lost that Lovin’ Feeling” are two of the most loved songs of this era. The lead singer of this important girl group, Ronni Spector, was married to Phil Spector — iconic record producer (the “Wall of Sound”) and gun-toting ego whack-job currently in prison for murder. But back in the day, Phil was the master, producing a signature sound in his studio. 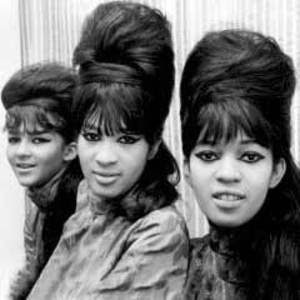 The Ronettes perhaps best represent this audio specialness (is that a word, Maile? — it is now!) with “Be My Baby”, “Walking in the Rain” and the Xmas jewel “I Saw Mommy Kissing Santa Claus”. Mr. Rydell was the complete teen idol package — God only knows how many weeks he was on the cover of Tiger Beat magazine! Great hair, great smile, and actually pretty good “pipes” to go along with it. Check out “Volare”, “Wild One” and “Swinging School” — my buddies and I all dreamed about going to such an institution where the teachers all looked like Ann Margaret and everybody drove a cool car. Wait , I DID go to such a place — New Trier High School (more about that later). This vaguely nerdy guy was the singer-writer of many wonderful light-content ditties. Looking back, he physically reminds me of Jon Lovitz’s older (more honest!) brother — weird! I remember getting a Neil Sedaka LP (long-play — 12 songs) record for my Bar Mitzvah — it may still be up in my attic with the rest of the “wax.” Check out Neil’s “Breakin’ Up is Hard to Do”, “Calendar Girl” and “Happy Birthday, Sweet Sixteen” for a bit of Jewish teen soul. Del, thank you for your unforgettable “Runaway” and for “Hats Off to Larry”, two great songs about losers and with the best Farfisa organ background. I loved singing along to his falsetto. Unfortunately, Del shot himself in 1990 — most likely tired of running away and taking his hat off. A celebrity teen idol — Nancy really “clawed her way to the top” (who’s your daddy?). However, her hits “These Boots Are Made for Walkin’” and “Bang Bang (My Baby Shot Me Down)” are memorable if only because the spirit of Frank “Chairman of the Board” — won’t let you forget! THE ULTIMATE ITALIAN DOO WOP GROUP WITH AN AMAZING FALSETTO SINGER WHO LATER APPEARED ON THE SOPRANOS — what else can I say? Maile girl, enjoy “Sherry”, “Big Girls Don’t Cry”, “Walk Like a Man”, “Dawn”, “Working May Back to You”, “Let’s Hang On”, “Candy Girl” and “Rag Doll.” It’s all good!! This fellow might have sported the best pompadour haircut of this group — truly towering!!! He had a McDreamy voice and stage persona, too! Listen to “Take Good Care of My Baby”, “The Night has a Thousand Eyes”, and “Rubber Ball” (Papa’s personal fave — I don’t why). Bobby gives good vocal “twang”–he’s a male version of Brenda Lee. Finally, last but not least, the “Polish Prince” himself –the one and only BOBBY VINTON! Having Polish blood running through your veins compels you to appreciate the royal voice of Schmaltz (ask your Daddy the meaning of this term — he’s a master of Yiddish! ): I give you “Roses are Red (My Love)”, “Blue Velvet”, “I Love How You Love Me” and the immortal “Sealed with a Kiss”. And that’s how I end this (lengthy) lesson, my lovely granddaughter — with KISSES! In the mid-to late 50′s, a new sound emerged, a blend of rhythmic and vocal stylings that were — to be honest about it — very threatening to the mainstream (aka white) American majority. The beat was infectious and the lyrics, while mild by today’s standards, were considered naughty. A lot of this attitude was unfortunately based on the racial biases of the time — in fact, the music we refer to as Rock n Roll was often termed “race music.” Radio announcers refused to play these songs and politicians ranted that this music was a Communist plot aimed at weakening our youth.